I can’t believe it’s the 9th of January already and also that my girls only went back to school today! I had intended to write this post about a week ago but on Thursday my Dad was taken into hospital. He’s home now, but it was a horrible few days. He has MS, is bed bound and now may also have the onset of dementia. My Dad is 61 and I hate what life has thrown at him over the past decade. I hope the the start of the new year has been kinder to you and your family! I’ve got to say, I’m welcoming the routine that going back to school today has brought with it. I’m not one for sewing challenges. I think I’ve mentioned before that many of them encourage the sewing of garments that probably won’t even be worn. Make Nine is different because it focuses your mind on nine items you are actually going to wear, rather than jumping on the latest patterns. 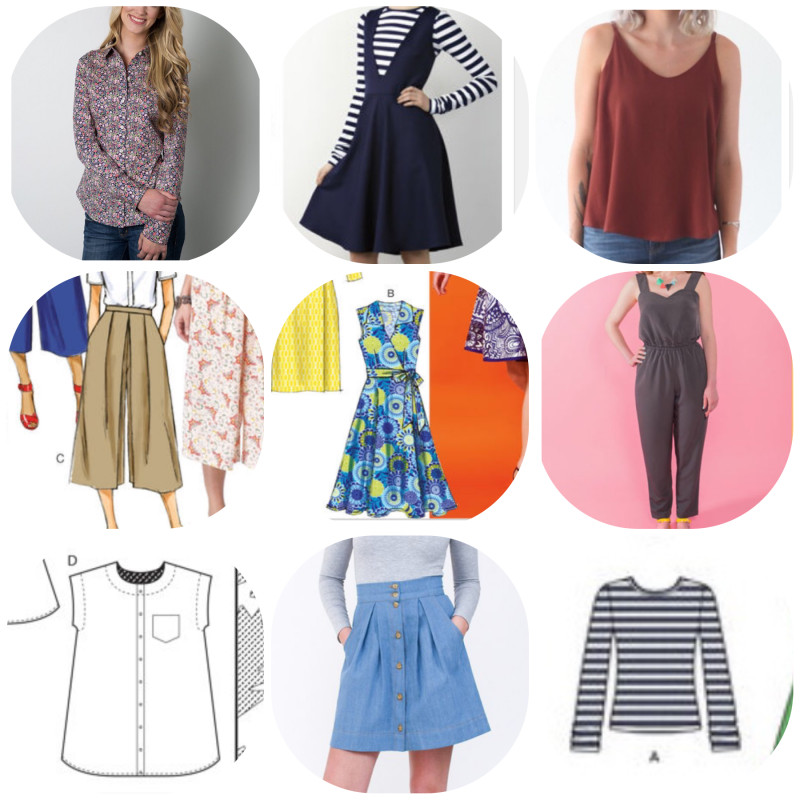 As I’d planned some items for a capsule wardrobe anyway, it seemed like joining in would be a good way to keep me focused and discovered some new sewists and blogs too. To be honest, I think any shirt pattern would fit the bill so maybe it won’t end up being a Granville at all. The sizing of Sewaholic patterns is pretty good for my shape though. Shirts are so versatile and good for layering and this would also be a bit of a sewing challenge for me too. I’d like to make one with a small subtle pattern, preferably on a navy blue or black background. This dress is what prompted me to buy this pattern in the first place and yet, somehow, I’ve never gotten around to it. I love the photo on the pattern envelope (and how often do any of us say that?!) and want basically the same outfit. This is another piece that will be awesome for layering, and can be worn all year round too. No more procrastinating either, I have fabric washed and ready to go! Much like with the Granville shirt, I’m not really dead set on this exact pattern, I just want to make some camis. I’m not sure what it is with me and layering lately, but this is another good top for that! I’ve seen some very positive reviews and lovely Ogdens over on Instagram, but if I come across a cami pattern in my collection I’ll use that instead. As soon as I hit publish on this post, I’m off upstairs to have a look. I snapped up this pattern on eBay late last year after seeing some very flattering versions of these floating around the internet. Originally I’d intended to make the Flint culottes by Megan Nielsen, but this pattern was only a couple of pounds and I couldn’t say no! I reckon a navy blue pair would be great and I could dress them up or down. This is the pattern I used to make my 2017 Christmas dress. I loved it so much I’d like to make an everyday version in a fabric with more drape. I won’t lie, it’ll probably be navy blue. Embarrasingly, I still haven’t finished my wearable muslin version of this. It’s cut out, interfaced and ready to go, but always ends up at the bottom of my to do list. I think it’s because it’s so different to anything I’d usually wear but I will finish it! I still have a lot of love for a plain grey version, but I’ll see how my muslin works out first. Last year some time, when I was reading up about ethical fashion, I came across The Uniform Project. I really love the idea of a dress that can be worn in all kinds of ways and I think the Maya Tunic is the pattern I need to achieve it. I’d really love to make this black and reckon I’d wear it a lot throughout the year. I’ve already made two Kelly skirts, so I know it’s a quick and easy sew. Hopefully I’ve still got the pattern traced out too for some extra time-saving! It looks like I have more than enough fabric for my Simplicity 1325 tunic, so the leftovers will be used to make this. What I like about this skirt is I can wear it when I need to be smart, but it will also go with t-shirts and trainers. Not only do I totally want the outfit from the pattern envelope, who doesn’t need long sleeved t-shirts? I’d like to make a few of these throughout the year actually. Ooh and maybe even do a bit of screen-printing too! Since deciding on my Make Nine choices, I have already made one, I’m just waiting on a slightly brighter day to take some photos! What are your Make Nine choices? 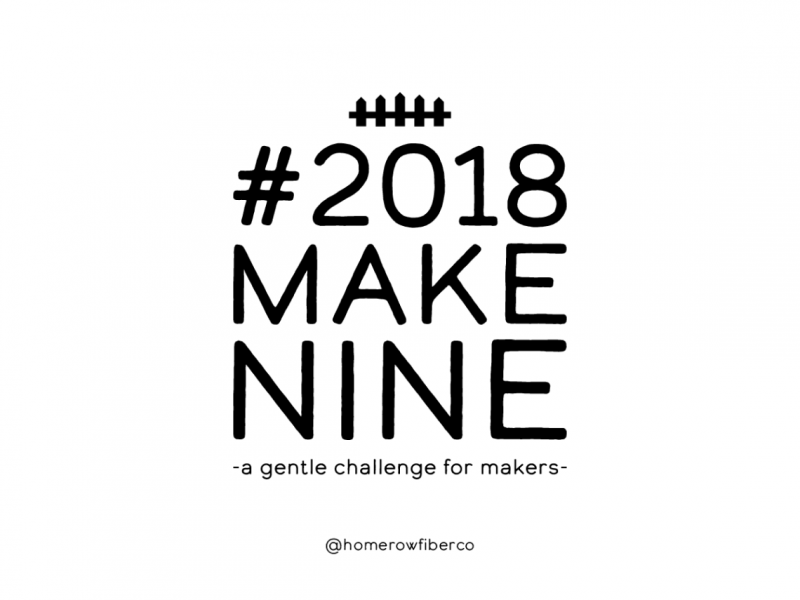 Are you also taking part in Make Nine in 2018? If you are, please leave me a link in the comments. I’d love to see what you’re planning on making!